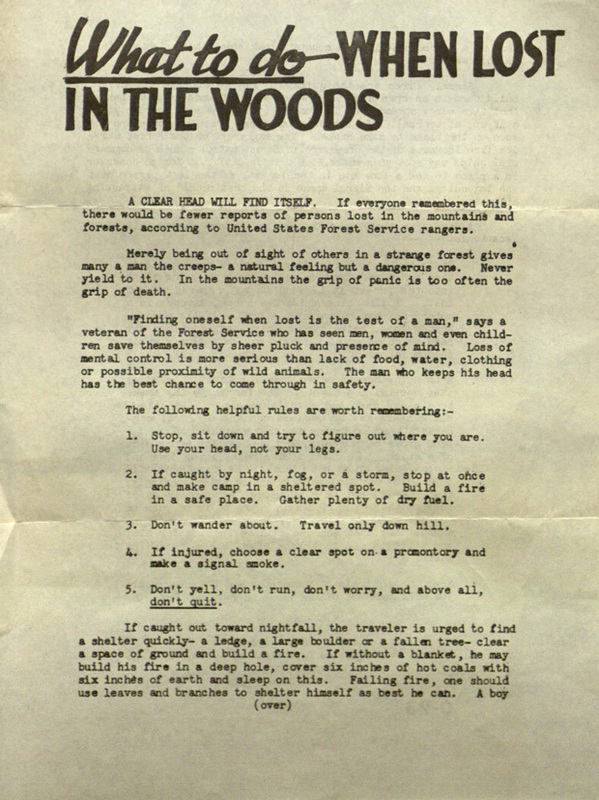 Check out this awesome list of “What to do When Lost in the Woods” from the US Forest Service way back in 1946. It’s a practical list that can save a life in a dangerous situation, but as Brain Pickings points out, it’s also a great guide for those of us that lose our creative way. Very cool to see practical and creative joining forces. Hats off to Brain Pickings for sharing the love – I’ve said this before, but if you haven’t checked out the B.P., you definitely should. This entry was posted in Words of Wisdom and tagged Brain Pickings, creative, lost in the woods, practical, US Forest Service, What to do. Bookmark the permalink.